We are excited to announce the release of the Second Grade Common Core Workbook. To celebrate, we are giving away free Workbook Downloads! 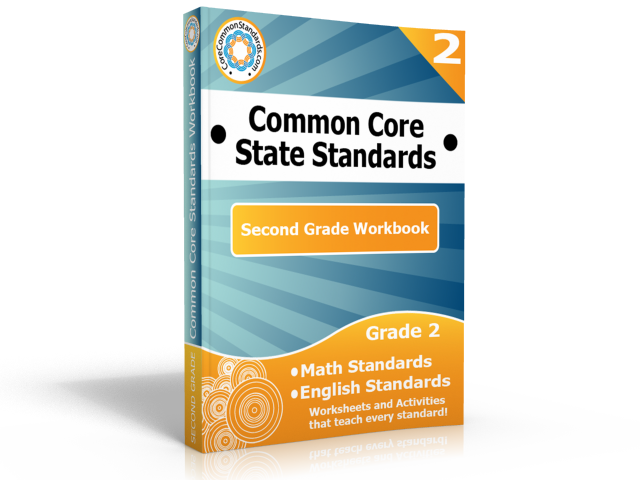 This Second Grade Common Core Workbook is the largest collection of worksheets and activities for teaching the Second Grade Common Core State Standards. This workbook includes over 575 pages of Worksheets, Activity Centers, and Posters that teach all the Second Grade English Language Arts Common Core Standards and all the Second Grade Mathematics Common Core Standards! Sorry, this free giveaway has ended. You can still order the Second Grade Grade Common Core Workbook. Be sure to use Coupon Code CORE15 to get 15% off.